Catherine recently left a comment asking about the discolored lines that she has running vertically in her front teeth. She was curious about what kinds of solutions there are to deal with this cosmetic problem. Before I talk about the solutions to these lines that can occur in our teeth, I’ll give an overview of what they are, why they happen, and how to get rid of them. These vertical lines in her front teeth are actually known as craze lines. Over years of use, our teeth tend to develop tiny cracks in the hard outer layer known as enamel. These cracks normally don’t cause any pain, but can easily stain, causing embarrassing discolored lines on your front teeth. Craze lines can be caused by stress placed on a tooth. This can happen over the course of a lifetime of chewing or by any other process that causes a lot of stress on our teeth. Some common causes of craze lines are biting your nails, grinding your teeth (many people do it in their sleep without realizing it), using your teeth as tools, trauma to your teeth, or simply routine use of your teeth. This case report describes a situation where craze lines were caused by biting on hard objects such as the top ring of an aluminum soda pop can. Speaking of metal rings, wearing tongue rings can cause craze lines in your teeth. One other cause of craze lines that should be discussed is going to the dentist. This research article states that he process of drilling away a cavity and filling a tooth can cause craze lines. That’s certainly not a reason to avoid the dentist, though, since craze lines are harmless whereas untreated cavities can lead to significant complications. Do Craze Lines Mean Your Teeth are Cracked? Although craze lines are very tiny cracks in the outermost layer of your tooth, you don’t need to worry about your tooth cracking in half. One good way to think about craze lines is to take a look at the above photo of this porcelain doll. The cracks in the porcelain occurred after years of use. Although they are cosmetically displeasing, the cracks don’t mean that the doll’s head is about to crack www.health-canada-pharmacy.com/products.html open! If you suffer from craze lines, you’ll be pleased to know that the way that our teeth forms makes the enamel highly resistant to cracking. So, what should you do if you have craze lines and you hate how they look? There are a few alternatives. The least invasive option is to try teeth whitening. Many craze lines show up because tiny amounts of debri get into the crack and stain the crack, making it visible. 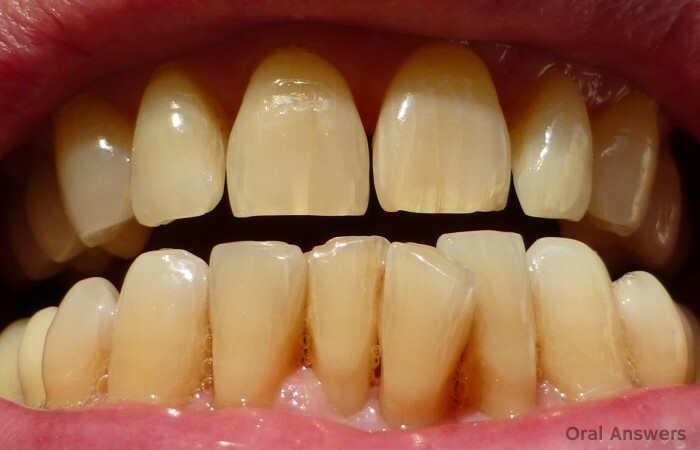 Teeth whitening can bleach away the stain and make the craze lines very hard to detect. There are other options that involve actual dental work. Before trying these options, it’s good to keep in mind that craze lines can be caused by dental work, and that no dental work is better than your natural teeth. With these alternatives in mind, it’s worth noting that most dentists agree that there’s no need to treat craze lines since they rarely lead to further breakdown of the tooth. Some studies (like this one) do argue that the small lines may serve as a future site of a cavity, but if you’re going in for your regular check-ups, your dentist can usually detect potential problems. Do you have any questions about craze lines or cracks in your teeth? Leave a comment in the comments section below. Thanks for reading! Tooth #15 was senitive to cold or heat. Minor problem. But wanted to replace silver with composit. Dentist x ray showed no decay, but was deep drill. The tooth never felt the same after filling. I was not able to chew food. Following severial visit with complants of a bad teast being emited and the tooth was now useless…long story short, dentist refered me to a specialest for a root canal. I requested copies of records. The record were not correct or complete. A two thousand dollar dental proceedure was not in my budget, RTC. I had the tooth pulled by a new dentist. Now with tooth #15 in hand, with my microscope camera I photographed the tooth. A layer of dark stuff in the composite which extends to the exterior of the tooth revealing a small hole which is part of the dark stuffl. I would think that hole was a leak. Also the photo shows a distinct line between the tooth and composite filling. I believe the dentist drilled to deep, exposed pulp and had to do a quick fill to stop pulp leakage. Please tell me the true potencial of my experience. I actually belieive the RTC was to cover up the problem. I can send you photo as soon as I learn how. Just got the camera. I to the point of getting dentures, thus end the continious bad experiences I have with dentist. Not proud to say this at all but I haven’t been to the dentist in 6 years :(…yes I know pretty irresponsible on my behave….I’ve recently noticed a craze or crack on my top left front tooth and it has,me very stressed and I am finally ready to see a dentist this week…however I am scared out of my mind and want to know what are the differences between a craze a crack or a fracture they all kind of look the same mine seems ? Hi – Your dentist will be able to let you know if it is a crack/fracture. There are some biting tests we can do. If it is not causing you any pain, chances are that it is simply a craze line. Hi Tom , Do you think using hydrogen peroxide diluted with water is a safe teeth whitener? I know it is effective but I’m worried about the enamel getting destroyed. If you could give me any feedback that would be very helpful. Thank you! would stop bleeding , so I had to go to hospital to stitch my gum. I have never forgot it ! I only go to the dentist when I absolutely have to . Please excuse my English. I now learning it. I found a craze line or a crack at two of my upper first molars. Left and right both. The line was on the lingual side of my molars ,from the bottom to the gum line. When I scratch the surface with my fingernail, I can feel the line. But it cause me no pain at all, and as long as I remember, the feeling with the fingernail has been existed for at least 3 years. I have been visiting my dentist at least twice a year and my latest regular check up was a month ago. If it had been not a craze line but a serious crack, since it was visible even for me, I do not think there is any chance that my dentist missed it all the time. Am I wrong? I am just so worried and I dont want to go back to dentist just because I feel a little bit suspicious because it has been only one month. Is there any chance it is a crack even if it has cause me no pain for years and exists on both of my same teeth? I mean, one of the lines is on the lingual side of left first molar, and the other is on the lingual side of right firat molar. And both molars were filled with resin years ago because of cavity. My doctor told me nothing about the lines for years! Hi. I really need some help. Over the last 2 months I have noticed a yellow stain appearing on the ends of my two front teeth, which seem to be going darker as time goes on. Iv noticed a few little cracks. I grind me teeth badly at night so I think this is to blame. Iv seen a two dentists. One told me my nerve had died but because this is happening to two teeth I though she might be mistaken. The other dentist told me its internal staining. I don’t understand how this has happened. Iv never had root canal treatment done and never suffered an injury or trauma to these two teeth please please please tell me what’s happening I’m severely depressed about it. Thanks on advance for any help/advice given. My long term dentist retired recently. I just had my first appointment with his replacement, and he detected cracks(?) in 2 teeth, numbers 12 and 29. The old dentist had never said anything about cracks. The new one wants to be proactive and put crowns on. Since I have no pain or heat/cold sensitivity, I’m thinking that these are just craze lines and need no treatment. So I am considering canceling my appointment for the first crown and reviewing the situation in 6 months when I return for the next cleaning. Am I on the right track? Hi Mike – This will probably be a future post 🙂 The way I tell the difference is by using a small very strong light and shine it through the tooth. If the whole tooth lights up, it’s just a craze line. If there is a crack that runs deeper in the tooth, it will block the light from passing through the tooth. If it is really a crack, it may cause pain in a few months, or it may cause pain in a few years. There’s no way we can tell when it will break, but when they are indeed cracked, a crown is my recommendation. I hope that helps! I live in New England and was told this week by a new dentist, who comes highly recommended by others in my town, that I have cracks in the underside of my front upper 6 teeth. This dentist is urging me to have porcelain caps placed on all six teeth.. He says the cracks are both vertical and horizontal and that they are severe. Described them as a “shattering” image on the underside of my teeth. Claims that in due time (I am nearly 60 years old), pieces of my teeth will crack off and this will expose the root and cause more damage. I am having no pain in any of these teeth. I had braces as a teen, back in the 1960’s when pliers were used to forcibly remove metals bands and I have to wonder whether the cracks were caused back then. I have moved a fair amount in recent years, have been to several other dentists, with twice annual cleanings and none of them ever suggested porcelain inlays or crowns. I was devastated by this new doc’s recommendation. Having taken care to always floss and brush, with bad genetics working against me, these 6 teeth are almost the only ones which have not undergone drilling and I would like to keep my natural teeth to the extent possible. From your article I understand that VERTICAL hairline cracks are “normal”. What about HORIZONTAL ones? 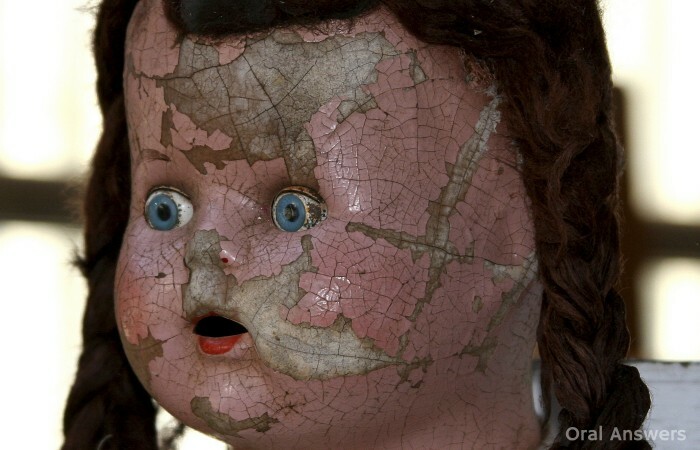 The photo of your blog’s porcelain doll is basically how mine apparently appear to my dentist. Going in all directions. Yet, in my opinion, they must be quite superficial since no one else has mentioned them (the horizontal lines, that is — I did ask about the vertical ones and my last dentist, like you, advised me not to do anything). I am planning to NOT have any front-teeth drilling done until clearly necessary. By that, I mean pain in the nerve or chips. Do you think this approach is wise or maybe there is a distinction with horizontal craze lines which merits immediate attention? Hi Jennie – It is possible that this dentist was seeing something that no other dentist has taken the time to investigate. I will usually take a high-powered LED light made for shining through teeth to see how deep the cracks go. If the cracks block the light, then they are very deep and a crown is normally a good idea to prevent future fracture of the teeth. If your bite is such that you are putting an enormous amount of pressure on the front teeth, it could cause them to crack. It is possible that this cracking may have been affected by the removing of your metal bands, but there’s no way to tell for sure. It’s really hard to say one way or the other. 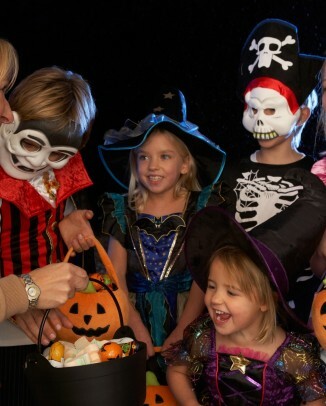 It’s possible your new dentists really believes that the teeth will crack soon and thinks he is doing you a favor by crowning them before that happens. It’s also possible that he is very aggressive and simply recommends a lot of crowns. 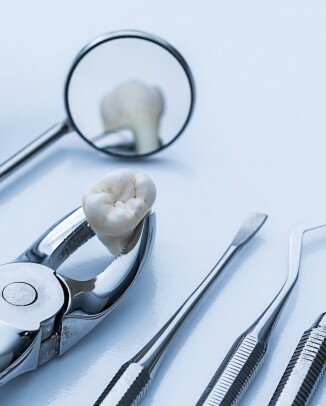 When a crown is placed on a tooth, the trauma from cutting the tooth down can damage the nerve, sometimes irreversibly and you may end up needing a root canal. 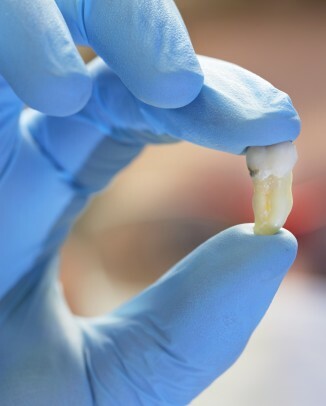 Experts have stated that there is anywhere from a 10-20% chance that a crowned tooth will end up needing a root canal. The best approach may be to get a second opinion. If I were evaluating those cracks, I would shine a light in the teeth to see how deep the cracks go and take an intra-oral picture to show you everything on the computer screen. I would let you know what I recommend doing and then leave the final decision up to you. I hope that helps, Jennie. I like to think that a majority of dentists are looking out for you and want to help ensure that your teeth are healthy. Let me knwo if you have any other questions. Thanks for your comment! I’ve noticed a lot of craze lines lately on my two middle teeth … both on the top and on the bottom. I’ve been using a bite splint at night for the last 4 years because of pretty severe bruxism that caused a couple molar fractures (so I have to use it). The bite splint is made of hard plastic (like the pink denture plastic) and snaps on over my front bottom teeth. Could grinding on the hard bite splint cause the craze lines? And if so, is there some other kind of bite splint I could use instead? Did you ever answer this question? I am experiencing the same thing. my front left tooth got a horizontal line on it and its getting discolored …what is diagnose for this and should i go for RCT? I have no pain , no senstivity problem. 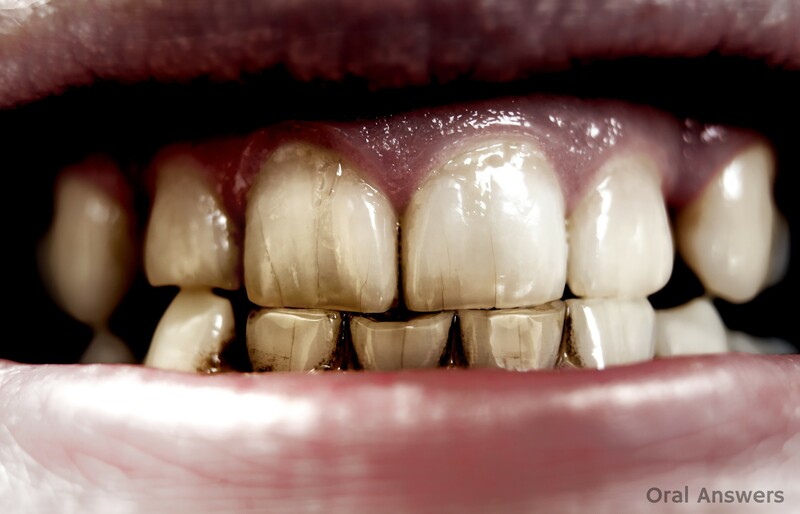 I have started to have staining due to my age and loss of enamel. Unfortunately I love coffee, blueberries, tomatoes , blackberries and iced tea.. I heard about on the news that many sports drinks are being evalutaed for loss of enamel. I forget the ingredient in it that they say is weakening enamel and I have been an avid drinker of one of them for years….. Whats your opinion on that topic? Also this weekend I noticed what I believe is a craze line.. but my second question is.. when I run a finger nail over the area I can feel a vertical groove… Can you actually feel the line hen you have a craze.. Please advise… thank you for the help. What if you have a craze line in your front tooth but your front tooth is a crown, does that make a difference /? I recently put on my braces. In my front top tooth I had what appears to be a craze line before, for the past 3 years I have noticed it. Yesterday, I toke the led light and went to the mirror. For my surprise I found 2 more cracks, and 2 cracks on the next tooth. All on front top teeth. The orthodontists treating me say there’s no way the braces could have done that, this is something that happens overtime, with age, with grinding at night, with putting stress to teeth, etc. I still have a nagging feeling that I had only one craze line before the braces. They assure me I’m mistaken, that I probably didn’t see it before. I don’t know what to think. In your understanding, is it possible that the braces are putting too much stress to my front teeth, by “pulling too much”? Notes: I haven’t eaten anything hard, but I was caught grinding (and taking bites) my teeth while asleep, in the past. Is it possible that taking dental impressions might cause hairline cracks, if the material hardens too much, making difficult to remove the tray? I was sore on my jaw for 24hrs after the dentist, so I was wondering if that could have caused the “cracks”. I recently discovered two hair line cracks in my front teeth. One only goes down halfway. Should I be concerned that my teeth will eventually break? Will the cracks get deeper? Will my teeth break when the enamel is gone or damaged? Can craze lines be caused by drinking acidic drinks, like coffee, tea, red wine or lemonade? How about grinding your teeth at night and not using a bite splint? When we mouth breathe during sleep, and our enamel dries out, can that cause these lines? Can the chlorine in swimming pool water cause it for those who swim every day? Nail biting? Sandy environments where sand can enter our mouth? Just some ideas. Just wondering if an electric toothbrush can cause or exacerbate craze lines. Thanks. Hi Cheryl – As far as I know, an electric toothbrush wouldn’t cause or exacerbate craze lines. If you knocked the teeth with the head of the toothbrush and it vibrated against the teeth, then that could… However, normal brushing should not. I’m only 18 and I have these craze lines on both of my front teeth. I can only see them when I shine a light through the side of my mouth at an angle. I bite the inside of my mouth when I’m nervous (which is a lot) and I really don’t want them to get worse. I do brush my teeth for longer than I’m supposed to, that I know is bad… I’m so self conscious about my smile and I do not want to make it worse but dental work is expensive.. Just though I’d get that off my chest. Hi I just noticed crazy lines on my bottom front teeth. Im 43 now although I had braces for 6 years as a child. I have no pain or sensitivity. I was wondering would the product sensodyn help build the enamel back up? I just emailed you a photo of my upper right front tooth, taken by my dentist on 7/16/14. She was replacing an old, small filling when she said she’d found a stress fracture. She did replace the filling but I’m scheduled to have both front teeth done with matching porcelain crowns on 7/29/14. I am very nervous about it and still have reservations despite an hour-long consultation with her. I am 66 and know that is a factor, but I have my teeth cleaned there every 4 months and have for the past 25 years, along with all my dental work. She has been in the practice 3 years and has done some fine work on me but I still feel uneasy. Thank you for any help you can give me. Hi Dr., You didn’t answer the questions regarding horizontal craze lines. I found on yesterday in my front tooth (I have severe health anxiety and tend to over react to everything). It’s almost middle of the tooth and just under where the cemental junction is. Are horizontal lines also ‘okay’? I have no pain, pressure, sensation, etc. I sleep in a night guard because of grinding and clenching. I’m 64. The back of my top front teeth are badly stained but the rest of my teeth are not. Dental cleaning is set for Jan. 2015. I should say, I can ONLY see this if I shine a flashlight onto the tooth at a certain angle. It cannot be felt with my fingernail. Diane – It’s more than likely a craze line. Do you remember any trauma to that front tooth? If it’s not causing any problems, I wouldn’t be too worried about; but you can ask your dentist about it to be sure. is crazeline a sign that front tooth is going to break? Some are long, some are tiny Crazeline. I’m scared, maybe my tooth will lead to breakdown. I Didn’t notice This before, since an accident happened to me past few days, i mouth was smack really hard on the wall and did check my teeth, and i noticed the lines In my front tooth. I can’t tell If i already had this crazeline before, because i just did checked my teeth right After the accident. is crazeline a sign that front tooth is going to break? Some are long, some are tiny Crazeline. I’m scared, maybe my tooth will lead to breakdown. I Didn’t notice This before, since an accident happened to me past few days, my mouth was smack really hard on the wall and did check my teeth, and i noticed the lines In my front tooth. I can’t tell If i already had this crazeline before, because i just did checked my teeth right After the accident. Thanks for answering. There’s so much online about vertical lines. Recently, I’ve noticed some sensitivity to my top, left, front tooth, so I looked at it w/ a flashlight on my phone. I noticed a crack starting at the top of my tooth, but not making it’s way all the way down to the bottom of my tooth. I’m 18 and take super good care of my teeth and the thought of this crack possibly making my whole tooth come out, freaks me out. Would you consider this crack a craze line or fracture..? Please inform me asap. I’m terrified of losing my front tooth. Thank you. I’m SO glad I found your site. Wish I had access to this information 30 years ago! All the questions I had over the years are answered in your threads. Thank you :). Hi. I have noticed that i have craze lines too.. Sometimes they are very visible and sometimes they aren’t. My question is,can they disappear? I mean I serious can’t stop chewing ice cubes..Is there anything that I can perhaps do to atleast stop chewing ice cubes? Does this writer really recommend teeth whitening? Not only is that not a good solution, but it also breaks down your teeth. Brush with baking soda. Rinse with water, lemon and sometimes hydrogen peroxide and floss regularly. Stay away from the hype. Hey just wondering if anyone has any information or help for me ! I’m 19 on Wednesday I had two fillings done on each of my top front teeth. It is Friday and I just noticed a line right down the middle of my right front tooth I can feel a weird area when I run my tongue along the inside of the tooth . I am very worried that its a crack . I can feel the tooth almost move a bit if I push on it with my tongue. Could this be from the dental work that I had done ? Is it going to crack or break ? Any advice please I am about to have an anxiety attack ! Thanks very much for this article and you’re site in general. Very helpful! I detected a horizontal line across my upper front tooth, and since my usual dentist was on holiday, I had to go to another one. I told him I had this “crack” and wanted him to check it out. He told me the crack wasn´t deep (not down to the nerves), so he would just drill a bit of the enamel along the crack off and put something in there to glue it together. When it was all done, he said I shouldn´t bite directly at hard stuff because that “could make it break off”. I got the impression that he needed to glue the tooth together to keep it from breaking apart, and that I should stay away from hard foods because they could make the tooth break even after the treatment. If the filling breaks off, can I continue as if nothing has happened, or do I have to see a dentist because the cosmetic treatment has damaged my tooth? It’s the same for me. I have two lines on my right front teeth and I just finished my invisalign and have a 2 year retainer. I have an appointment in 7 days. Can it be fixed? Hi sir. Whenever I used a flashlight to light on my teeth I could see a tiny crack (one only) in one of the front tooth in a certain angle. But whenever I try to check that without using a flashlight I see nothing, it’s like the surface of the front tooth was fine like it doesn’t have any crack. I don’t know why it bothers me. It doesn’t hurt at all. Is it a craze line? or a major tooth problem? Hoping for your response. Thank you. Thanks for the article. I recently noticed a long vertical line on my front tooth exactly like the photo and was really worried. However this put my mind at ease. I’ll mention it at my next scheduled check-up. I noticed a craze line on tooth 31 and have felt no pain and cannot feel it with a fingernail. However today, I was simply chewing gum and all of a sudden I felt tiny granules of my tooth in the gum…. A small part of the top / rear portion of my tooth crumbled suddenly with no provocation!! I’m making an appointment ASAP with the dentist but any answer here as to why my tooth would suddenly crumble like this is appreciated! I have high anxiety at the dentist 🙁 I do go every 6 months and this is the first issue I’ve had with crumbling. What is going on!!?! How nice that a doctor is taking his time to help concerned patients when their own doctors obviously are not answering the patients’ concerns. Could this be true that there still a doctor whose humanity hasn’t been lost? I’m overwhelmed by your response. I have no questions, but I thank you. I have a couple craze lines and my dentist called them stress fractures most likely caused my clenching when I sleep. No signs of grinding. He recommended invisaline. I don’t think that sounds right. Would like your opinion. Thank you for the article. I was a little stressed before I read it. Huh, I didn’t realize that the vertical lines in teeth can be caused by stress on the teeth. I have some of these lines on my teeth and they really bother me. It is good to know that I get veneers to have those covered up. I will have to keep that in mind! Hi! I just had my braces on yesterday and when I was looking at my teeth in a mirror with a flashlight I noticed a straight crack or slice on my two front teeth. Could this be because of my braces? I can’t bite using my front teeth as well. In short, there is insufficient discussion about how often this occurs, but my vote is that it is entirely possible. I, personally, experience jaw issues now that never happened before, and I think they are from braces. Also, I see said craze lines on my four front teeth exactly above where I wear my retainer. In my experience, orthodontic treatments (including retainers, after braces) are given without many considerations regarding possible effects to the teeth and jaw from dental realignment. Many dentists will say one of the following; they don’t see the craze line(s); they are harmless; and/or orthodontics cannot cause them. I am not a dental professional, but I think there is a correlation between craze lines and braces. Thanks for your article about craze lines. My grandfather had those little cracks in his teeth, and I had no idea what they were. Thank for letting me know that they aren’t dangerous and that there are dentists that can fix them. They could be hereditary, and I’d like to avoid them if I can. I recently encountered trauma to my front tooth. A friend hit me in my mouth with her head (long story) and the front tooth moved backward and unfortunately died. I had a root canal and a splint on my top teeth to readjust the front tooth into the correct position. Today I finished the root canal and the dentist noticed a “craze line” It’s not visible to the naked eye, but he showed it to me zoomed in with his camera. He said he would could leave it but then said the treatment is a crown. Is that a typical diagnosis? 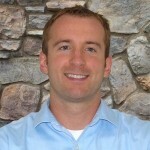 I have to agree the web needs more discussion boards about dental issues, so I thank you for that :). I am 28 and in the past year have been a night time grinder for years. The past 4 years have been very stressful and I have cracked about half of my teeth and have paid 20k in this past year trying to get my mouth back in shape. I am at the point to where I just want dentures. I wear a night guard but the damage is already done and now all my nerves are dying off and becoming infected. Would this be a bad decision ? I am in constant pain and have young children, just want my life back. Okay. I just went to the dentist and he suggested I get fitted for a night-time mouth guard to help curb the ‘cracks’ in my teeth. After seeing this, they might just be craze lines? They blamed it on grinding my teeth and pointed out a couple other teeth that were flat across the top vs pointed as other evidence of grinding, along with some bone damage/recession. It feels a little like going to the mechanic. You don’t want to avoid doing what needs to be done, but you don’t want to pay for a new water pump if it’s really okay, you know? I started to notice hairline cracks on a tooth when I was in my late 30’s. Over a bunch of years it seemed most of my teeth had them. Dentist thought it might have been caused by grinding, not from being a mouth breather. I did not feel I friended my teeth. Nothing was done. Then in my late 50’s after several caps to replace lost section of teeth, it was discovered I have sleep apnea. During a episode I woke up and found my jaw slamming together. I realized that is why my teeth all had cracks in the enamel. So if you got very thin cracks in front and/or back go for a sleep test. Can mouth rinses that claim to strengthen enamel really help? Some claim to restore enamel. Is any of this true? Thanks! nyc post. yes in my two upper and lower front teeth have minor craze lines its enabel in shadow, i hate them. so, it is possible to get completely make naturall. plz give me some home tharapy or dental advice. Can wearing braces as an adult create craze lines? Being that you are purposely moving crooked teeth to a straighter position. Does this movement cause these lines? If clenching causes this as well, does it affect only the teeth being clenched or can it affect any tooth due to the pressure being given? I am a 62 year old female. I take good care of my teeth. Yet still have several root canals and all my molars are crowns. I have the craze line down one of my front teeth. It is rather dark as I do drink coffee. This article helped me feel less worried about the tooth cracking in half. My dentist mentioned on one checkup to the assistant ” to keep and eye on this”. He was referring to the crack in the one front tooth. Now I feel better to know that it is not uncommon. I am 24 years old. I take good care of my teeth.. but yesterday I used the mobile light and I noticed that I have craze line in the front of my teeth .. the craze line was vertical and I noticed it using my mobile light..
you can’t notice it without a strong light..
and I did x-ray for my teeth from 1 years a go and there wasn’t any cracked in the x-ray.. So do I have to treat these line or I can ignore it? Do these line cause any damage on my teeth? At first I thank you for this useful article. I WAS IN BROAD DAYLIGHT WHEN I NOTICED IT. I just curiously wanna ask if this craze lines was caused by a dental procedure such as scaling. As far as I know this ultrasonic/ultrasound scaling creates a vibration which i believe can cause craze lines to develop or extend longer. So is it safe for someone who had craze lines to do scaling using ultrasonic/ultrasound machine? I am Wangmo and I am 12 years old. I have a habit of nails biting for the last 4 years.As you can see, I have been told by every dentist that I have a perfect set to teeth, straight and not even one single crooked teeth. You have said it right that it it a hard-to-let-go habit as no matter how many times I try to stop it , promising not to do it anymore, I only end up doing it more.